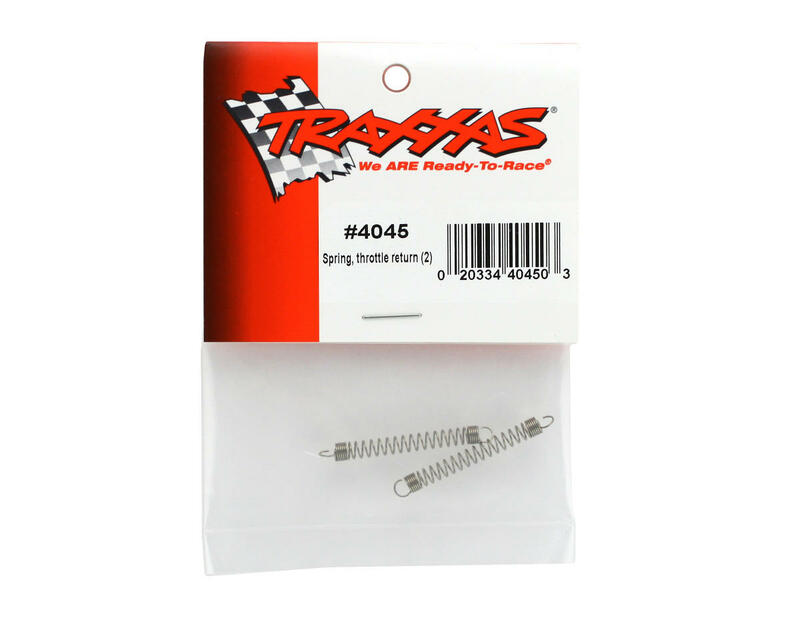 This is a pack of two replacement Traxxas Throttle Return Springs. 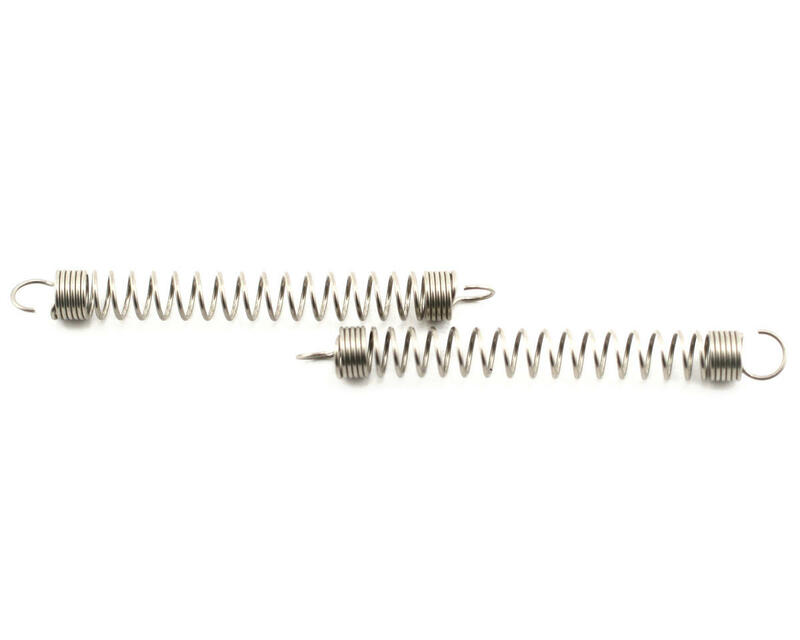 These springs protect the engine in the event of an electrical power loss. Should electric power become terminated, the tension from the spring will close the carburetor against the servos force, stopping the vehicle. Should the carburetor get stuck wide open, without electrical power, the vehicle will "run away" at full throttle and heavily damage or destroy the engine.